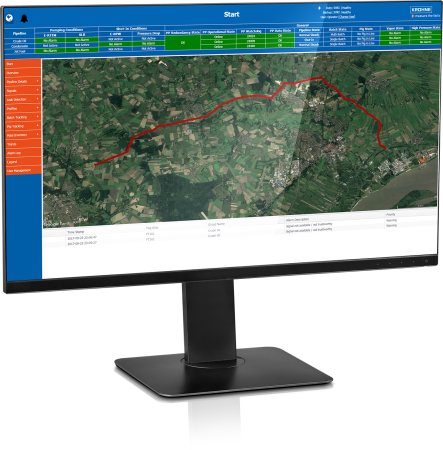 PipePatrol is a leading edge system for pipeline leak detection and localisation in pipelines. It is the most sensitive internal leak detection system (LDS) available, providing accurate leak information for a high degree of safety. PipePatrol combines the Real Time Transient Model (RTTM) with a patented Leak Pattern Recognition module to create an Extended Real Time Transient Model (E-RTTM). Its multi method leak detection enables oil and gas pipeline management under both steady and transient pipeline conditions. This way, the LDS is able to reliably distinguish between real leaks and imbalance deviations caused by linefill changes or separation units. PipePatrol meets all regulatory requirements such as TRFL (Technical Rules for Pipelines in Germany) as well as international industry standards such as the API Recommended Practice 1175 (Pipeline Leak Detection – Program Management) and API 1130 (Computational Pipeline Monitoring for Liquid Pipelines). The leak detection system can be retrofitted to existing pipeline systems. It is designed to be completely redundant and accesses the data that the existing instrumentation provides. PipePatrol interfaces seamlessly with SCADA and other control systems. If required, additional flowmeters and other process instrumentation will also be supplied by KROHNE. PipePatrol not only involves the necessary hardware and modular software suite. It also comprises the whole project management from consultation to instrumentation, integration, service and support of the LDS. Outstanding reliability due to "Leak Pattern Recognition"